As the lead generation experts for industrial/technical products and professional services, we book qualified sales appointments with decision makers for the sales teams of B2B companies. Therefore, if you sell B2B, and your ultimate goal is to grow your businesses consistently and predictably every year, we can help you. But how can we help YOU, exactly? 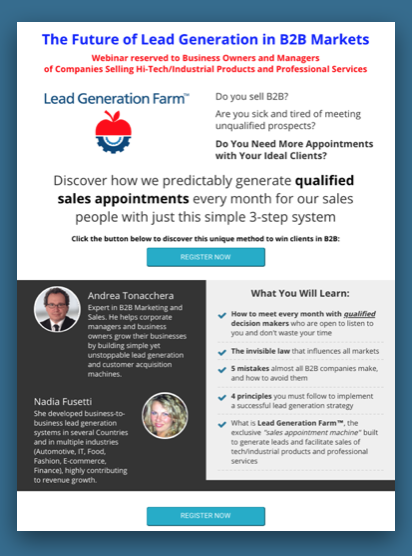 When you outsource to us your lead generation, we build a lead generation machine, host it, and run it. We can get up to booking on your behalf sales appointments with qualified decision makers. 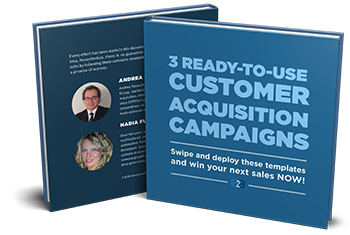 You just have to send your sales people to meet qualified decision makers and close sales. 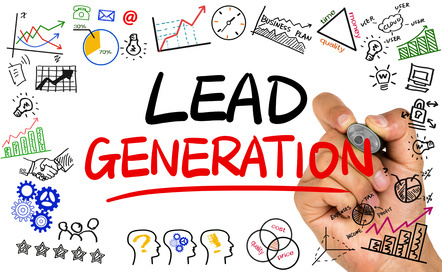 If you don’t want to outsource, we can train and coach you to build and manage your own lead generation and customer acquisition machine. There are several programs ready to use, that can be tailored to meet your needs. Want to know how to benefit of our Services in your business?